Born in 1982 to a Swedish father and Grenadian (West Indies) mother, Asplund was raised to be a music performer. Starting at age six, she was trained to play a variety of instruments, such as the piano and, of course, her voice, in music school until she was about 19 years old. She decided to quit music around that time to pursue a career in art design, though she was persuaded by friends to launch a MySpace music page a few years later, in 2005. 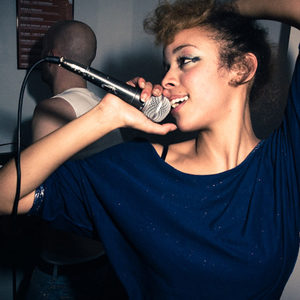 With various hip-hop and electronica producers lending her beats through MySpace, the Swedish-born singer went from receiving praise by blogosphere critics to racking up performance gigs in the Netherlands, Belgium, New York, and elsewhere. Also through MySpace, she wound up forging a musical partnership with Paris production outfit Papa Jazz Crew. After hearing her demo tape, British-based R2 Records offered Asplund a record deal in 2007; her first single, "With You" was released that same year. The Papa Jazz Crew-produced demo was converted to the Fuss'n'fight EP and issued in February 2008 to precede the full-length debut, Plethora, also entirely produced by the Papa Jazz Crew, in March.